The food year is getting off to an inauspicious start with this proclamation from The L.A. Times today (via The Daily Meal): “The first food trend of 2018 is here, and it is covered in glitter.” We can applaud the considerable restraint in not adding a exclamation point to that clearly excited headline, but we couldn’t be less-excited about this revolting development. 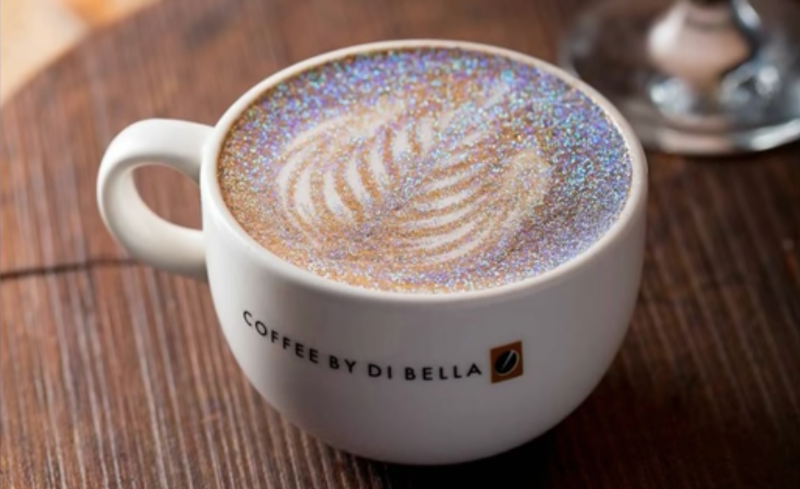 The ensuing article states that glitter cappuccinos and coffees are flying out of cafés in Australia and India, billed as “diamond coffee” to help you “wake up with a sparkle.” This video from Insider Food demonstrates the process, using edible glitter, naturally. But what is so pedestrian about putting the coffee in a cup and then drinking it? We are not in it for foam selfies or annoying accoutrements, but the straight-up caffeine, in the strongest doses available. We’d rather our food and drink focus on deliciousness over attractiveness—or if we’re being honest, your social media cachet. Plus, any food establishment adding glitter to their roster obviously doesn’t staff any parents or failed crafters. Both of those populations are certain of one thing: Glitter is eternal. You can pour it out of its little plastic container and try to contain it, but you will fail. It will get everywhere. In cutlery drawers. In napkin holders. It will fly onto your face and adhere to your left cheekbone, making it appear as if you attended a rave over your lunch hour. How do you remove caffeine from coffee?